Vice-President Yemi Osinbajo on Monday evening took a jibe at Senator Dino Melaye and the Peoples Democratic Party governorship candidate in Osun State, Ademola Adeleke, over their humorous acts. He cited the examples of the two politicians belonging to the opposition PDP to prove his claim that Nigerians are the most humorous people in the world. 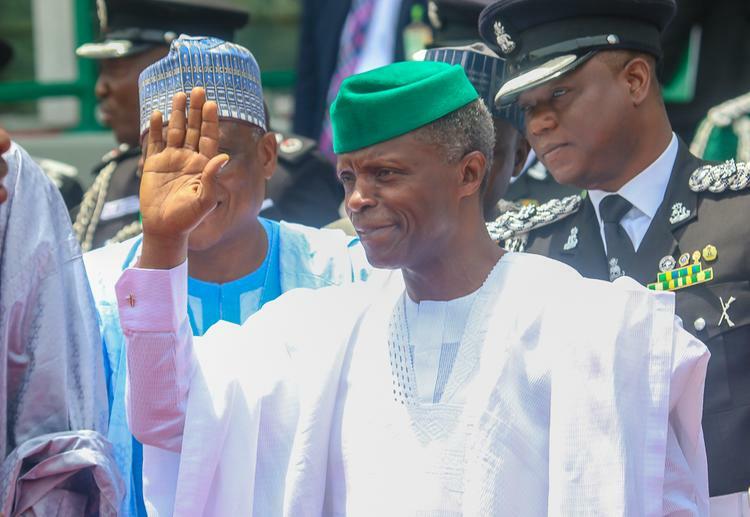 Osinbajo said this in his remarks at the dinner and gala night held at the Presidential Villa, Abuja as part of activities marking the nation’s 58th independence anniversary. He argued that apart from being one of the happiest and most optimistic people, Nigerians were the most humorous people on earth. He supported his position with Melaye’s recent claim that he was abducted on his way to a court in Kogi State and had to spend 11 hours on a tree. He also cited Adeleke’s case, saying about 20,000 people voted for him in an election despite his alleged insistence that the most important attribute for leadership was dancing. Although Osinbajo did not mention the names of the politicians, the events he mentioned clearly pointed in their direction. The Vice President said, “A few years ago, a poll reported in the British Independent Newspaper declared us the happiest people on earth. The same poll said that we were also amongst the most optimistic people on earth, despite everything that we’ve experienced as a nation. “Well, if you don’t agree with me, but I can tell you so many reasons why we are the most humorous. A few months ago, an important Nigerian politician who was on his way to a trial in a court said he was abducted and after he escaped from his abductors, he remained hiding on a tree for 11 hours. “The most interesting part of that story is that many people online in particular, on the Internet, started to tell stories of different birds and how long those birds could remain perched on a tree. All these were the Nigerian contributions to that story.